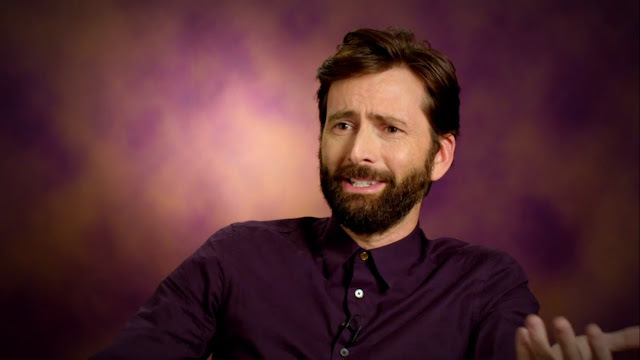 David Tennant will be appearing on Graham Norton's Good Story Guide, a special edition of The Graham Norton Show which airs on Friday night on BBC One. David will be one of the guests helping Graham explore what makes a classic anecdote as the award-winning host goes behind the scenes of the show. In the clip below, David introduces a shocking story told by his former Broadchurch colleague and Fleabag creator Phoebe Waller-Bridge when they both appeared on the show last spring (The clip may not play outside the UK). You can watch Graham Norton's Good Story Guide on BBC One on Friday 4th January from 10.35pm. The programme will also include contributions from Miriam Margoyles, Rob Brydon, Greg Davies, Josh Widdicombe, Robbie Williams, Dame Maggie Smith, Bill Bailey, Salma Hayek, Kate Beckinsale, will.i.am and Tom Hanks.